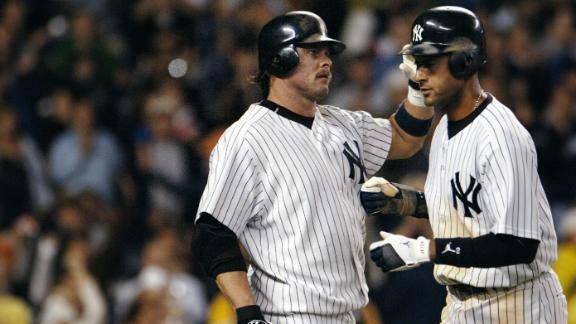 Former MLB player Jason Giambi joins the Dan Le Batard Show and reveals what Derek Jeter did to get out of a slump. Jason Giambi sort of stands alongside Barry Bonds and Mark McGwire, among other PED users, as the face of a generation. How Will Jason Giambi Be Remembered? Jerry Crasnick reflects on the career and legacy of Jason Giambi, who announced his retirement from baseball Monday. 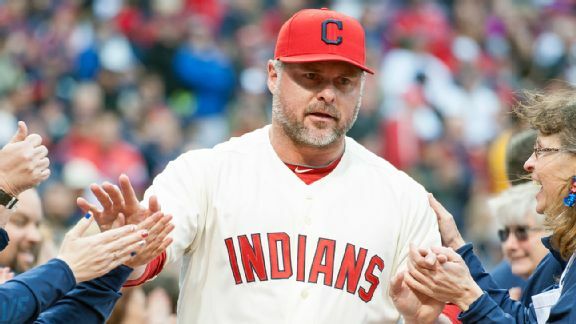 Jason Giambi told the New York Daily News that he is retiring from Major League Baseball, ending a 20-year career that he called an "incredible journey." Which active players are Hall of Famers? In any given season, there are more future Hall of Famers than you probably realize at first glance. Take 1994. Eighteen current Hall of Famers played that season, which was a strike-shortened one that didn't include any late-season call-ups. 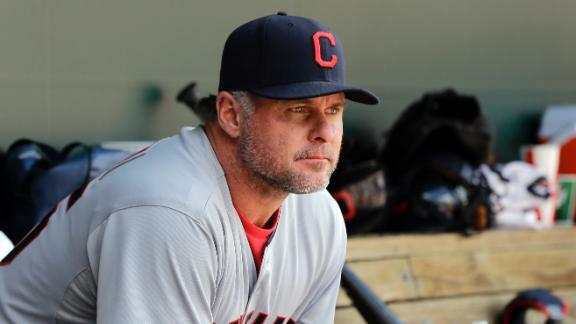 Jason Giambi's 19th season didn't go as planned. He's not sure there will be a 20th. CHICAGO -- As Paul Konerko gets set to play in the final series of his career, anybody wondering what contributions he can give to the offense this weekend is completely missing the point. Technically you need only one run to win a game (we're ignoring forfeits here). This week showed us that some teams are quite content to get only one run, whereas some prefer to get, well, a few more. The Chicago White Sox have nobody to blame but themselves for their dashed playoff hopes, but they can still make a mark on other playoff chases.The final road trip of the season, which starts Monday night, includes games against the Kansas City Royals and Detroit Tigers, both of whom are battling for the American League Central title.